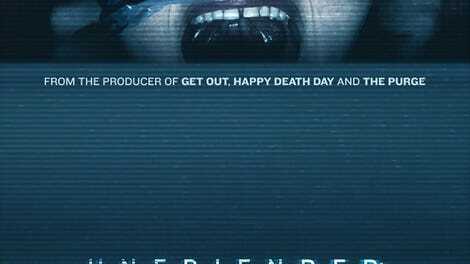 When Unfriended hit theaters in the technologically primitive past of three years ago, it looked like a brand-new kind of movie. Unfolding exclusively across the LCD canvas of a terrified teen’s desktop, this ingenious ghost-in-the-machine potboiler spoke a distinctly modern language, telling its hoary horror story of revenge from beyond the grave through Facebook photos, instant messages, Google searches, chat windows, YouTube clips, and the overlapping din of a group Skype session. 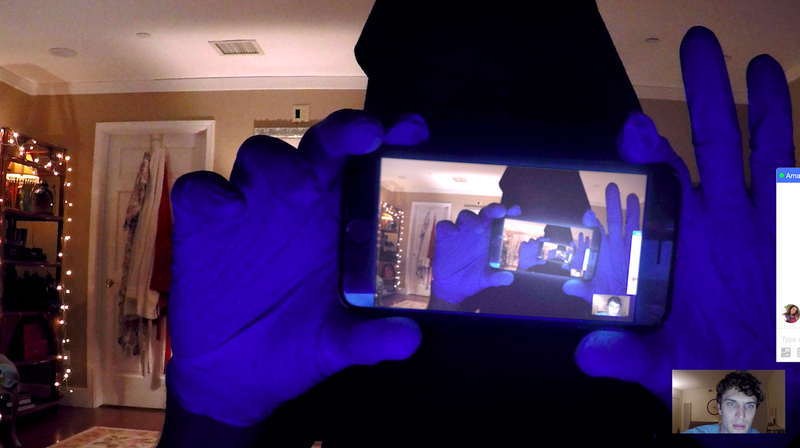 Unfriended didn’t invent webcam horror any more than The Blair Witch Project created the found-footage genre. But it did fiendishly exploit how we communicate and even how we process visual information today. It was a fright machine for the multitasking, screen-dependent now. Dark Web, an even meaner and more pitiless thriller than its predecessor, doesn’t take the Unfriended formula in any bold new direction; its scare tactics are just variations on the diabolical fun the first film already had with our daily browsing habits. But this sequel does prove that the novelty of “Screenlife,” as producer Timur Bekmambetov calls his franchise’s innovative technique, hasn’t quite worn off. Dropping the supernatural bent of the original, which chronicled the ghostly comeuppance visited upon a group of high school cyberbullies, Dark Web spins a completely unrelated tale of a snuff-film black market and a shadowy cabal of hackers. It’s a patently ludicrous story. The storytelling, though, remains clever and grippingly singular, again finding creative ways to progress the narrative without cheating the locked-vantage format. The first thing we see, after the comfortingly familiar clarion of the Apple start-up sound, is a curser clicking into an empty field, and then trying out a series of potential passwords (“1234,” “password”). It’s a good joke that also hints that Matias (Colin Woodell), the main character we observe only via the footage captured by his webcam, hasn’t acquired his new laptop through above-board means. In place of the vapid teenage shitheads terrorized in part one, Dark Web ensnares a marginally less irritating clique of twentysomethings, holding a game night over video chat: paranoid conspiracy theorist AJ (Connor Del Rio), newly engaged couple Nari (Betty Gabriel) and Serena (Rebecca Rittenhouse), nondescript DJ Lexx (Savira Windyani), and London computer wiz Damon (Andrew Lees), who’s basically the token exposition machine, around to explain basic computer jargon. Absent from the party is Matias’ deaf girlfriend, Amaya (Stephanie Nogueras), whose hearing impairment serves as both an apropos conflict of communication and, later, a device for suspense. Beyond its formal invention, Unfriended actually had something to say about the cruelty of internet culture: It was a tale (from the crypt) of karmic retribution, punishing seemingly good kids for the pain they inflicted from the safety of their computers. Dark Web pushes that idea even further, this time making the bad guys the anonymous trolls, pulling the strings from the dark. But if there’s a chilling topicality to a horror movie about hackers, Susco goes a bit overboard with the godlike powers of his keyboard bogeymen, who orchestrate an evil masterplan so outlandishly elaborate that even the most fervent of deep-state conspiracy loons will have to suspend their disbelief. (Vengeful ghosts are honestly more plausible than what people do with computers in this movie.) But Dark Web, which gets nastier and more unforgiving as it goes (though maybe the Clue-style alternate ending will be happier than the official one), still gets a lot of twisted entertainment out of hacking the mundane tools of daily digital life. How can you not get a chill of wicked pleasure from a movie that builds dread from the Facebook message notifications that drop down from the upper righthand corner of the screen?